Tired of telling your kids to turn the TV off when they leave the room? Now kids can have their own energy-monitoring device specially designed to visualize their own appliance usage within the home, which rewards them with earning points. Designed by fresh college grad Elle Tweedy, Current Chameleon is a house-shaped device that quantifies a youngster’s current consumption by tracking, analyzing and making sense of the data. Tweedy designed the eco gadget because she believes that making people understand how and how much they consume, is the first step to empowering them to reduce their energy usage at home and beyond. The Current Chameleon focuses on engaging, educating and empowering kids into making energy-efficient decisions from an early stage of their lives. An Arduino Uno, an open source single-board micro-controller designed to make the process of using electronics in multidisciplinary projects more accessible, programs the product. 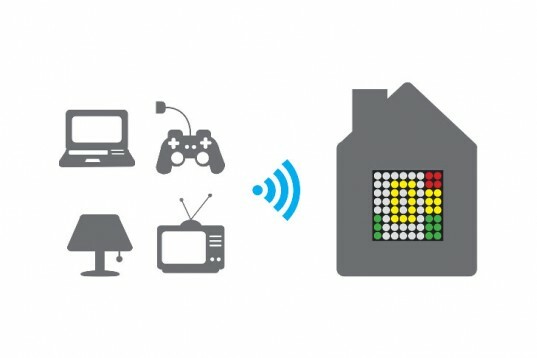 Wireless transmitters clip around the cables of electronics devices for real-time monitoring and then are being converted into power rating, showed on an LED screen. If the energy consumption is kept low, the counter in the center reaches ‘10’ and the kids can proudly accumulate points, but if the consumption is very high for more than 5 minutes, the counter resets and the reward is lost. Current Chameleon is also designed for disassembly. The sections of the house are simply clipped together, making it easier to recycle 95% the different components, at the products’ end of life. Tired of telling your kids to turn the TV off when they leave the room? Now kids can have their own energy-monitoring device specially designed to visualize their own appliance usage within the home, which rewards them with earning points. 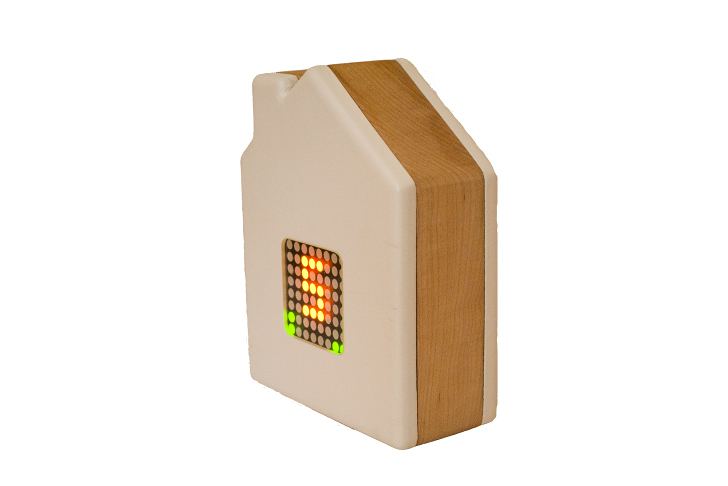 Designed by fresh college grad Elle Tweedy, Current Chameleon is a house-shaped device that quantifies a youngster�s current consumption by tracking, analyzing and making sense of the data. Tweedy designed the eco gadget because she believes that making people understand how and how much they consume, is the first step to empowering them to reduce their energy usage at home and beyond.